Now in its 10th edition -- and published in association with R�my Martin -- the only UK guide focussed on places that 'real' people eat in - that is to say pubs, curry houses and chippies as well as the formal country house hotels and temples of gastronomy beloved by other guides. It becomes ever-more comprehensive, covering over 1,800 restaurants in the UK's major cities. 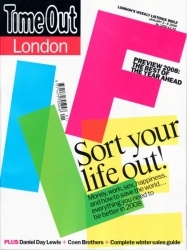 As with the London guide, views and ratings are based on the UK's largest detailed annual survey of restaurant goers. "The world's most respected restaurant guide� Evening Standard.The Harden brothers have been writing their guide for 10 years or so now, and get over 5000 responses every year to their survey of London restaurant goers. The restaurant ratings are based on this survey, and the write ups of each restaurant are a combination of Hardens' own views and quotes from the survey participants. T3 - The world's No.1 gadget mag. Every issue of T3 is packed with the latest gadgets, from cameras to mobiles, TVs to MP3 players. 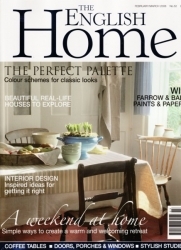 This gorgeous magazine covers all aspects of family life from birth to alternative education, eco house and garden to nutrition. 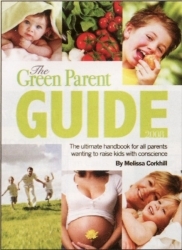 Each issue comes with a pull-out Green Kids magazine packed with nature activities and games. 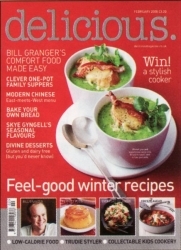 Whether you are passionate about cooking and entertaining, or simply love food, delicious is the magazine for you. Every month it's packed with mouth watering recipes, menus from celebrity chefs such as Jamie Oliver, tasty mid-week suppers, great children's meal ideas and the latest foodie news. Beautiful homes and elegant living...The English Home captures the elusive style that is quintessentially English, with glimpses into traditional English home and expert interior design ideas. A connoisseur's guide to everything food and wine. 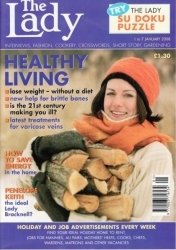 Join Rosemary Conley in this fitness and diet magazine. 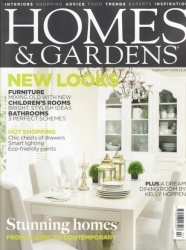 This magazine provides inspirational homes, gardens, shopping and decorating ideas. Get a new zest for life and feel motivated and inspired with this health and wellbeing monthly. 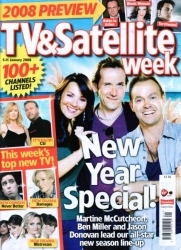 TV Listings mag containing over 100 channels covering Freeview, Virgin, Sky and terrestrial stations. England's Oldest Weekly Magazine for Women celebrated forthe quality of its editorial and extensive appointments and classified section. The UK's Most Trusted Authority on all Areas of Pregnancy and Birth. 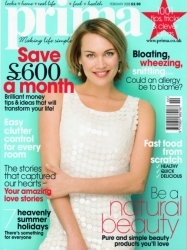 For looks, home, real life, food and health Prima makes life simple. 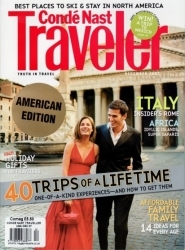 Available as a UK version or the original American edition with beautiful photos, interesting world stories, great ideas on travel and great itineraries. 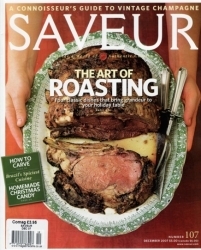 Recipes, food, consumer advice, tried & tested reports, health, beauty, book reviews, travel are all in Good Housekeeping magazine. The World of Interiors is where interior design and fashion meet. 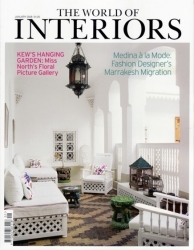 A magazine that inspires devotion in those who have a passion to design. 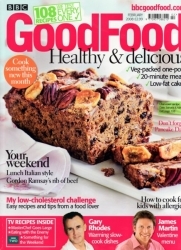 BBC Good Food mag is packed with delicious healthy recipes and food advice for everyone. 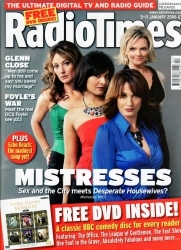 TVTimes is one of the UK�s best-known magazine brands, with over fifty years of TV heritage.